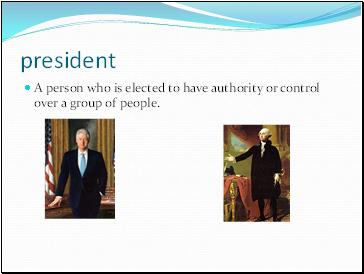 A person who is elected to have authority or control over a group of people. 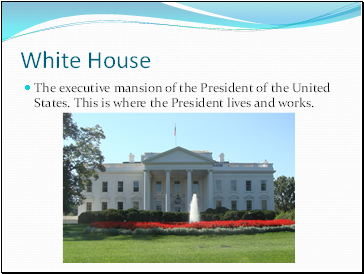 The executive mansion of the President of the United States. This is where the President lives and works. 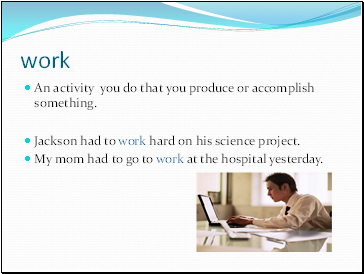 An activity you do that you produce or accomplish something. Jackson had to work hard on his science project. My mom had to go to work at the hospital yesterday. Talking to a large group of people. 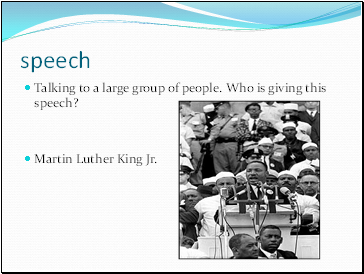 Who is giving this speech? 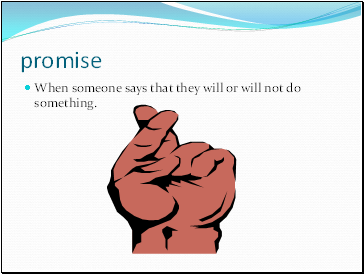 When someone says that they will or will not do something. 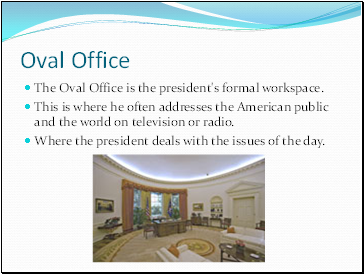 The Oval Office is the president's formal workspace. 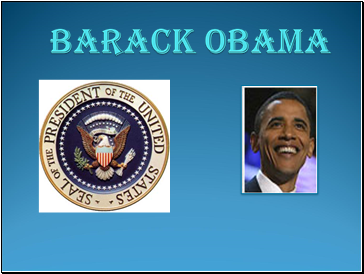 This is where he often addresses the American public and the world on television or radio. Where the president deals with the issues of the day. 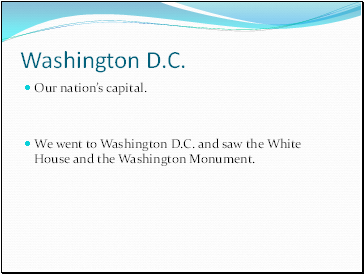 We went to Washington D.C. and saw the White House and the Washington Monument. 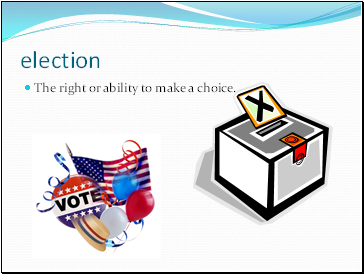 The right or ability to make a choice. 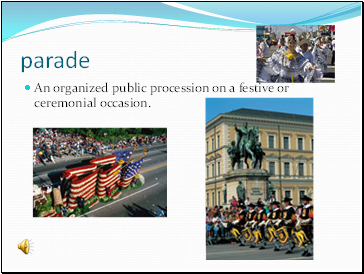 An organized public procession on a festive or ceremonial occasion. 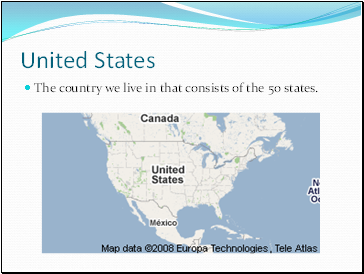 The country we live in that consists of the 50 states. 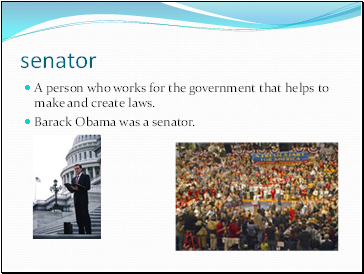 A person who works for the government that helps to make and create laws. 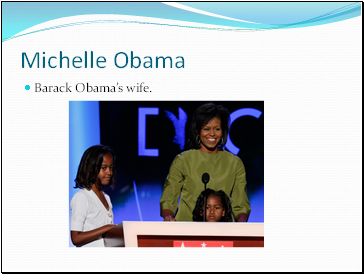 Barack Obama was a senator. Formal induction into office. 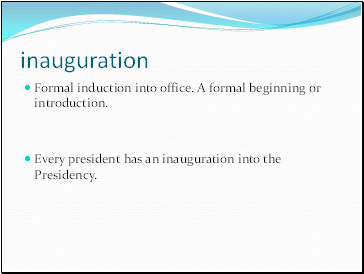 A formal beginning or introduction. 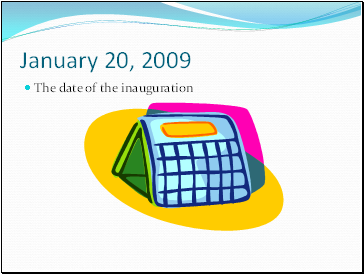 Every president has an inauguration into the Presidency.